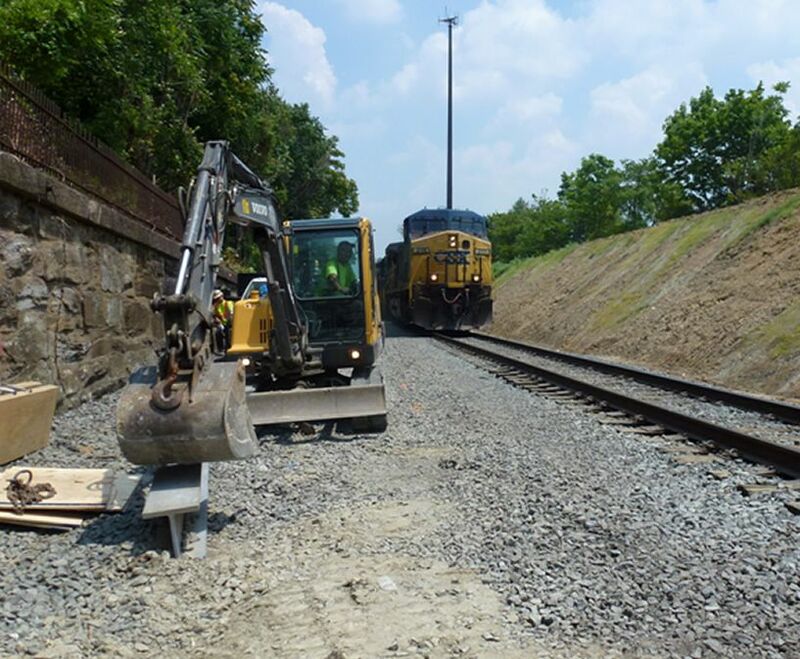 The second stage of the Trenton Line Improvements Project for CSX is part of an overall project to lower the existing track along the Trenton Line, so that double stack freight cars can pass under existing overpass structures. This specific stage includes the drilling of 363 shafts in rock to set soldier beams for the installation of 7,460 SF of precast concrete lagging panels. 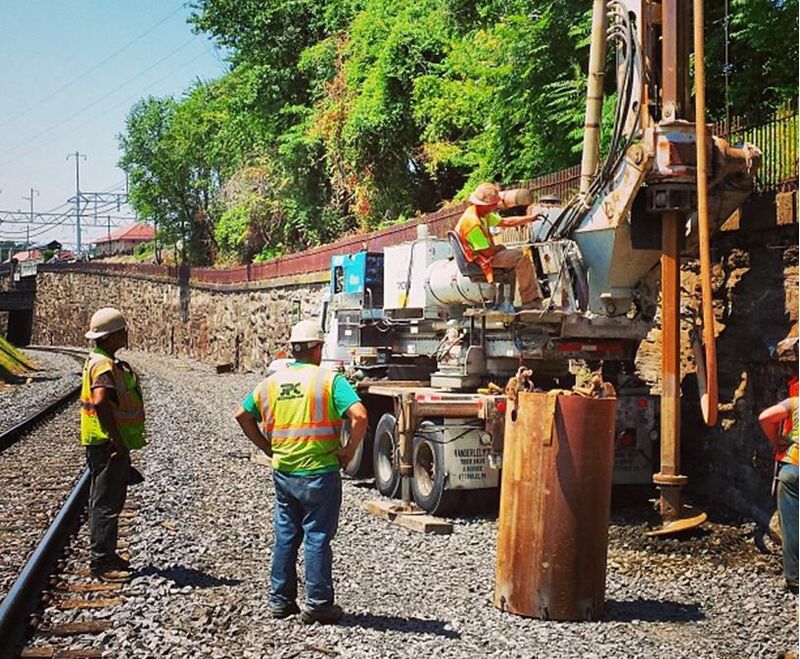 This permanent shoring of existing retaining walls will allow for the excavation of over 13,625 CY of dirt and over 2,000 CY of rock, so that the existing track can be undercut a maximum of 3’ over a span of 5,000 LF. 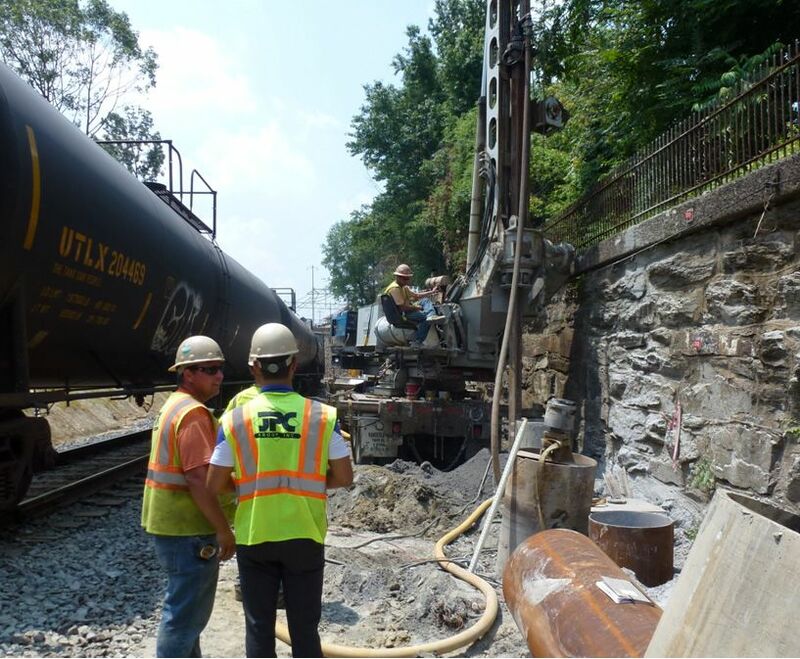 The project also includes the installation of over 1,096 LF of 18” RCP, and the setting and installation of a contractor design-build pumping station under the Germantown Avenue bridge. The estimated completion date is early April, 2014.